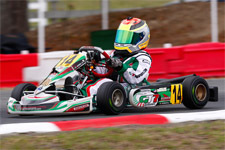 Coming off a strong showing at the 2012 US Rotax Max Grand Nationals, GT7 Motorsports team driver Dylan Tavella will be back in the seat of his GT7/Tony Kart Micro Max this weekend. 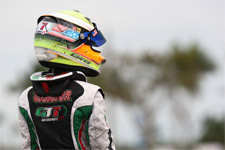 Taking on the Pan American Rotax Max Challenge at The Track at Centennial in Englewood, Colorado, Tavella will be one of the drivers to beat in the competitive and challenging Rotax Micro Max category. 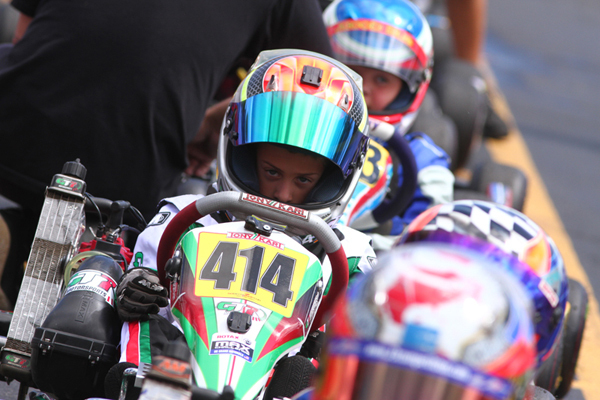 After just missing the podium at the US Nationals back in August, the karting hot shoe will be looking for a little redemption come this weekend. 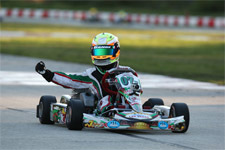 Showing his blazing fast speed, Tavella nabbed the coveted pole position for the premier US Rotax event against a stacked field of 22 competitors. Competing this weekend in an international field, Tavella will look to take top honors and come home the Pan American champion. 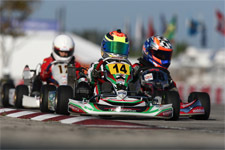 Working with tuner and coach Bob Radivoy, the powerful duo has what it takes to rise to the top. Tavella will take to the 0.8 mile, 21-turn facility, located just south of Denver, this week for unofficial practice. Friday, September 21 will see the Brookville, New York resident on track for official timed practice and the all-important qualifying session. 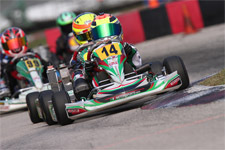 Saturday Tavella will take on wheel-to-wheel action during the three heat races, with the prefinal and final set for Sunday. 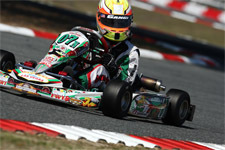 Live video and timing and scoring will be available starting Saturday at 11am Eastern Time on www.kartingracingnetwork.com.